The Child Rights Information and Documentation Centre (CRIDOC) has been implementing the Advocating for Adolescent Change in Malawi Project through the Youth Act Alliance (YAA), with financial and technical support of the Partnership for Maternal, Newborn & Child Health (PMNCH), a multi-constituency partnership hosted by the World Health Organization (WHO) and chaired by Graça Machel. The Youth Act Alliance (YAA) is hosted at the CRIDOC Secretariat, and the CRIDOC Executive Director manages the YAA as its National Coordinator. Since the inception of the project in September 2017, we have carried out a series of activities such as conducting three regional youth champions’ consultations with adolescents and young people, policy makers or duty bearers namely the District Youth Officers, and the District Youth friendly Coordinators. Each workshop brought together 30 participants. The purpose of the regional youth champions’ consultations was to get the views and inputs of the district, rural, under-served and hard-to-reach communities to have their views factored in the Adolescent Health and Well-Being Toolkit. These activities also enabled the youth to diversely take ownership of the toolkit as they participated in all the five stages of the toolkit development. The follow-up activity to the development of the toolkit was production of the music video promotional material and a short movie on Advocating for Adolescent Change in Malawi. Both the movie and musical video promotional materials were developed as youth and adolescent user-friendly materials for advocacy and awareness targeting the youths themselves, duty bearers, ward councilors community leaders and law makers among others. The characters in the both music and short movie are mainly the adolescents and youth themselves which attracted their fellow peers to watch it through social media platforms as it went viral. The PMNCH convened a Board Meeting, Malawi Partner Consultation on Adolescent Health and Well-Being, on 12th December 2017. The High-Level Presidential Adolescent Health and Well-Being was convened on 15th December 2017. The activities created a platform to present, disseminate, discuss and share the toolkit with youth and adolescents, high level dignitaries such the State President, the First Lady, Ministers, Government officials, NGOs and Development Partners. Under this project, Malawi ably presented the roadmap on the rolling out the adolescent health and well-being toolkit at the Side Event of the United Nations General Assembly represented by Marcia Datridade. It was done in a panel style. Youth Act Alliance (YAA) presented a digital video confession that emphasized on exercise 1, 2 and 3. 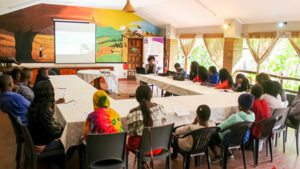 On 13th December 2017, the YAA managed to present the Advocating for Adolescents Change music video promotional material during Adolescent Girls and Young Women coordination meeting under the invitation of the National AIDS Commission (NAC). The presentation attracted interest of the development partners, NGOs such that they would like to partner with CRIDOC. Overall, the project is enjoying good rapport with partners and relevant Government Departments. As a result of this project, we, the adolescents and youths are now involved in technical working group meetings, and are involved in the implementation, design and monitoring of youth programs. 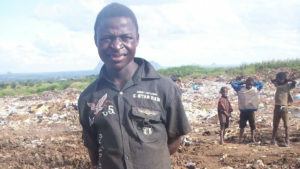 In the Republic of Malawi, there are 4.1 million adolescents aged 10-19 years-23.7% of the country’s total population. 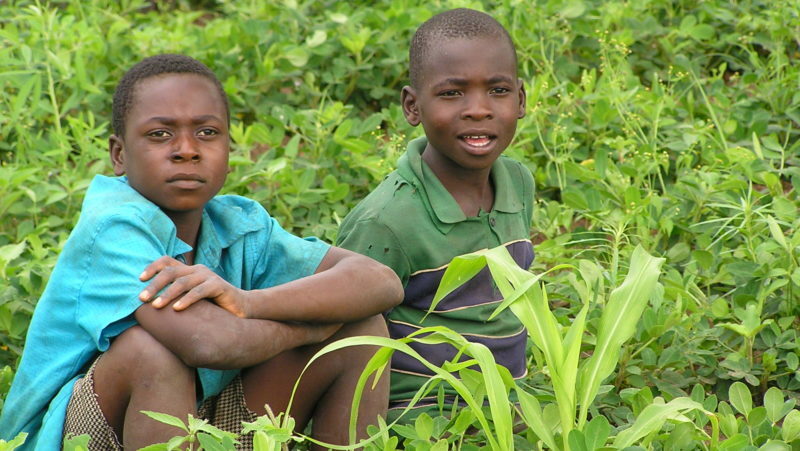 Most adolescents live in rural areas, 83% of adolescents are girls and 84.1% of adolescents are boys. By age the mean number of years of schooling attended by the adolescent girls is 6.8, while for the adolescent boys is 6.4 Among the adolescent who become parents before the age of 20, the average age at which Malawian adolescent girls have their first baby is 17.1 years, while the average at which the adolescent boys first become fathers is 17.9. In view of this situation, the Government of Malawi with the support of key multi-stakeholders such as the Global Fund, UNICEF and USAID are developing Adolescent Girls and Young Women (AGYW) Strategy in ensuring that adolescents and young women are invested on strategically for them to benefit economically and socially as agents of development at grassroots and national spheres. The AGYW strategy, is responding to the one of the six pillars of the “Every Woman, Every Child Strategy” and the Advocating for Adolescent Change Toolkit strategic interventions supported by the Partnership for Maternal New born and Child Health (PMNCH) in partnership with Women Deliver. The efforts are exerted to deliver the global strategy and Sustainable Development Goals (SDGs) at large. 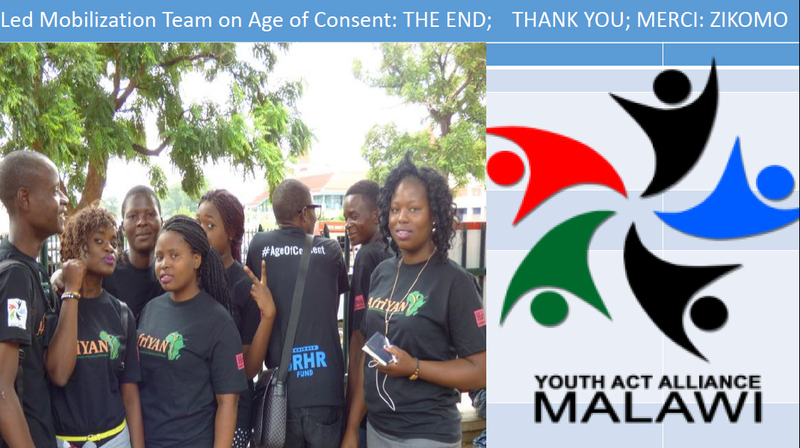 The partnership is currently supporting Youth Act Alliance (YAA) in the development of Advocating for Adolescent Change Toolkit in Malawi and the other countries namely: Kenya, India, Nigeria and Cameroon so as to facilitate the attainment of the Global Strategy. President of African First Ladies Against HIV and AIDS (OAFLA) has contributed quite a lot in policy and political direction. The Presidential High-Level Dialogue on Adolescent Health and Well-Being held on 15th December 2017 held at Bingu International Convention Centre (BICC) which was patronized by about 1000 delegates was highly featured in the local Papers, public television and radio including private radio and television stations. Additionally, the music video and short movies were beamed during Malawi Partner Consultation on Adolescent Health and Wellbeing on 12th December which was attended by 80 delegates.